New Year festivities in the UK have always had a Scottish accent, with their roots deep in the Viking and Pagan traditions surrounding the winter solstice. But times move on, and for some the annual celebrations have become more trial than triumph, says Angus MacRaild. It’s a good question, and one which appears to me increasingly prescient the more I’ve asked friends and acquaintances about the meaning they bestow upon New Year. You’d be hard pressed to find a country that doesn’t celebrate the new year to some degree, but it has always felt like a particularly Scottish celebration to me. You might be familiar with traditions such as first-footing – being the first across the threshold of your neighbour’s house after midnight; of gift giving in the form of coal for the fire, salt for the kitchen, bread or cake for the belly, and whisky for – well, for all the things that whisky is good for. Over the centuries, the Scots have wilfully imbued New Year with meaning; that we’ve given it its own name – Hogmanay – says it all. Hogmanay’s roots lie in the Viking and Pagan celebration of the Winter Solstice. This tradition – firmly embedded in the Highlands and Islands – was further cemented by the eschewing of Christmas as a festival in Scotland. In the 16th century, during the Reformation, the Protestant Kirk saw Christmas as a Catholic festival, which meant it was not widely celebrated in Scotland until well into the 20th century. The traditions of first-footing and gifting are ones of superstition; a tall dark male being your first visitor of the year was seen as bringing security and good fortune to a household. The local Hogmanay customs across the regions of Scotland are rich and varied: from Fireball Swinging in Aberdeenshire, where chickenwire balls are filled with flammable materials and swung ablaze; to fireworks and torchlit processions across the country. Then there are the more Pagan traditions, such as people dressing up in the hides of cattle, or burning cattle hides or juniper in houses to ward off evil spirits, as is still practised in parts of the Outer Hebrides. There is, of course, also the broader cultural argument that Scottish history has forged a national appetite for a good party. Undeniably, Scotland still relishes its ancient festival. Times change, though, and while the ancient themes of Paganism, Norse mythology, celebration of the Winter Solstice and superstition are still carried out all over Scotland, our lives are broadly more individualistic in this age. What struck me recently is the number of people who dislike the turning of the year. For many, it is a reminder of things unachieved, promises broken, time slipping past and failed ambition. A stark barometer for the underwhelming nature of life. I heard the oft-repeated desire to retreat, to hibernate in solitude away from the fireworks and that communally discordant first verse of Auld Lang Syne. Perhaps it is a natural inclination as we age; we accumulate loss in hand with victory, enough that our rumination accrues complexity with each year’s end. It is also easier to understand in light of a year like 2016 and the socio-political shock and awe it has brought. You can understand people looking back over 2016 and saying a resounding ‘yes!’ to Burns’ lyrical question. 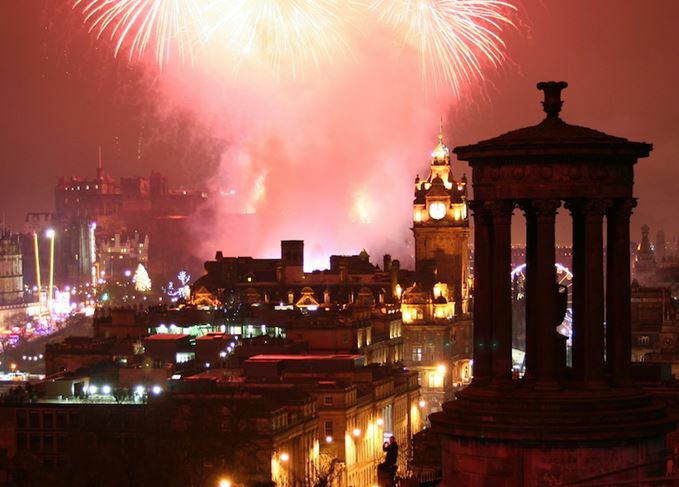 I’m not a perennial optimist, but my impressions of Hogmanay have long been ones of positivity. A time to come together with the people that matter most in celebration of a fresh start and new horizons. Yes, of course each year brings freshly failed resolutions. We aren’t always going to lose those extra pounds, achieve that grand ambition, change our jobs or find love. But life goes on, and out of the weariness of a year’s end comes the twinkling promise of new possibilities and a clean slate. To meet all that, daubed in the warm gilt of friendship and whisky, is important to many. The chance to wish each other well, to shrug off accumulated disgruntlement and to zero yourself around a little bit of hope and restoration is a precious thing. Some of my earliest and most vivid recollections of whisky are from Hogmanays past. I can still taste the Talisker 10-year-old my dad poured one New Year in England, or the Lagavulin 16-year-old during the millennium celebrations in Scotland. The way these great whiskies impress their flavour upon you when you first encounter them remains embedded forever. To this day, one of my greatest joys in whisky is to try a dram that reminds me how whisky tasted to my younger palate. Of all the celebrations on the calendar it is Hogmanay which lends itself so perfectly to whisky. The history and mythology of the night are steeped to the marrow with the stuff. The weather. The darkness. The laughter by the fire. The hip flask in the jacket at a street party. The tiny gathering round a kitchen table. The dance hall that heaves with red faces and condensation. Wherever you go, the squeak of a cork or twist of a capsule are close. Scotland’s very geography and climate during the Winter Solstice have long demanded a drink of sufficient potency – as have the people that live here. For those who opt to sit quietly alone with only Jools Holland or the televised tartanry of Edinburgh Castle for company, whisky is a soothe. A sleek and smoky pair of hands to carry you warmly across the borderline of another year. For those of us who embrace the merriment of the night, the tumbler of whisky becomes the ink pot from which to draw up new memories and new hopes for the future. To scratch out the mistakes of the past year and scribble down our better-laid plans. For those on the hills in procession, on the shorelines of the islands or out in the streets of towns and cities, whisky is both armour and restoration. I don’t know what whisky I’ll drink this Hogmanay, but it will be something stalwart and classic. Gone will be the nosing glasses and the tasting notes. The role of whisky at Hogmanay is foundational, for drinking rather than tasting. For laughter or introspection. Wherever you chose to spend Hogmanay this year – in celebration or commiseration, in company or solitude – I hope you find something nourishing in a glass of a whisky that you love. And I hope 2017 confounds your worst expectations and meets your best hopes.